Best Ski CME in Emergency Medicine! 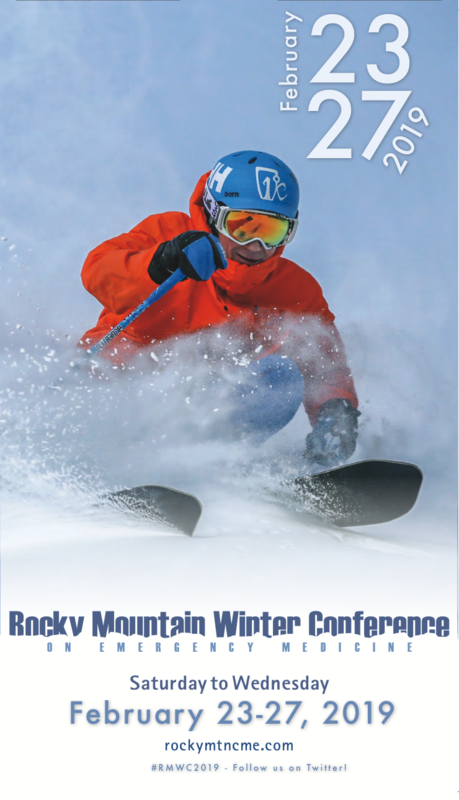 Please join us February 23-27, 2019 for our fifteenth annual Rocky Mountain Winter Conference on Emergency Medicine. This year we will be at the Steamboat Grand Resort in beautiful Steamboat Springs, Colorado. The Steamboat Grand Resort is one of our favorites and we cant wait to return. Your visit to the area will reach beyond your expectations. After an engaging day of CME and skiing the slopes of Steamboat, wrap yourself in the quiet of the Steamboat Grand Lodge, pamper yourself at the luxurious onsite spa, take a trip to the hot springs, or hop on a Gondola Ride. There is more to do than you can experience. Each day the conference starts with a hot breakfast followed by engaging, cutting edge didactics led by experts from the country's top academic programs. We break midmorning so that everyone can head to the slopes for outdoor adventures! After the lifts close, we connect again for apres ski refreshments, followed by hands-on practice in our Simulation, Ultrasound, and Airway Learning Labs. Evenings are filled with relaxing networking opportunities during culinary excursions or just relaxing with the family and friends or any of the resorts activities such as the scenic Gondola rides or Snowshoe Tours.